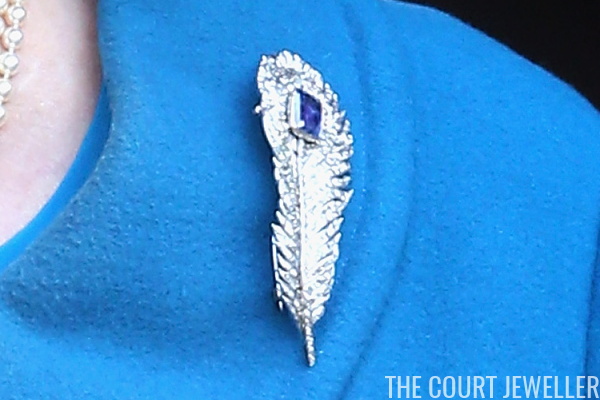 Queen Elizabeth II of the United Kingdom has an impressive collection of royal sapphires, but few of them have as unusual a color as the sapphire in today's piece, the Carrington Feather Brooch. 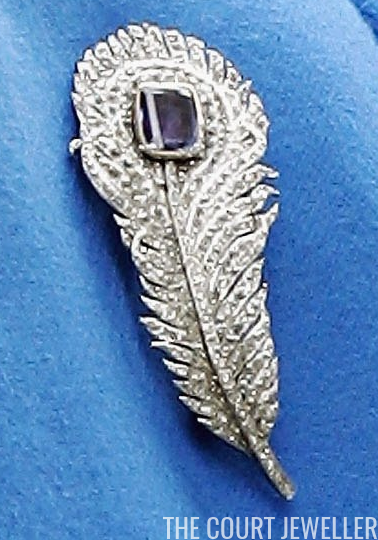 The gorgeous diamond and sapphire feather brooch was one of the wedding gifts received by the Queen in 1947, given to her by the firm that made it, Carrington. Rather than a deep royal blue, the sapphire is distinctly blue-violet in hue. 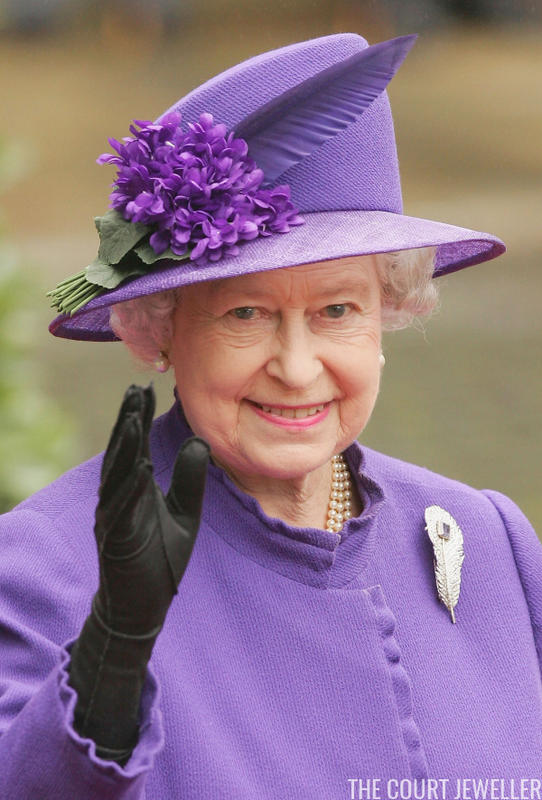 The purple tones of the stone are emphasized when the Queen wears it against purple clothing, as you can see above. But against bright blue clothing, the sapphire looks much bluer. 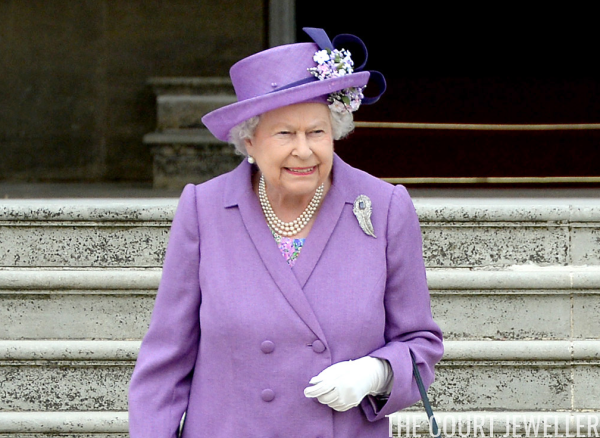 Generally, the Queen only wears the brooch with blue or purple clothing, helping to emphasize the shifting color of the gemstone. 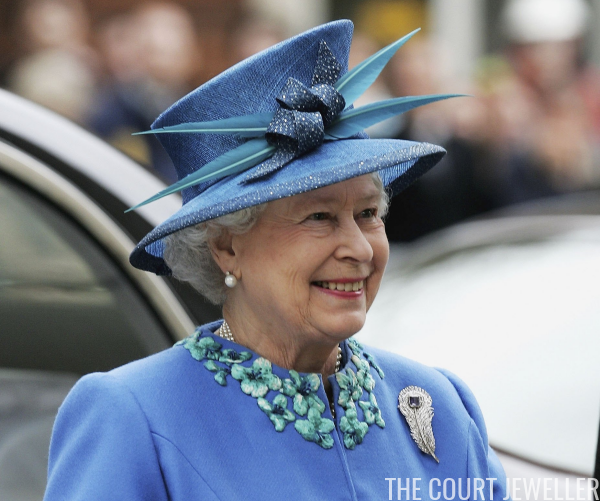 Decades after she received it, the Queen still brings the brooch out of her jewelry box on occasion. On November 6, 2004, she wore it on a rather unusual occasion: a non-royal wedding. She rarely attends weddings that aren't family affairs, but that autumn, she was a guest at the wedding of Lady Tamara Grosvenor, daughter of the 6th Duke of Westminster, and Edward van Custem, whose parents are close friends of the Prince of Wales. 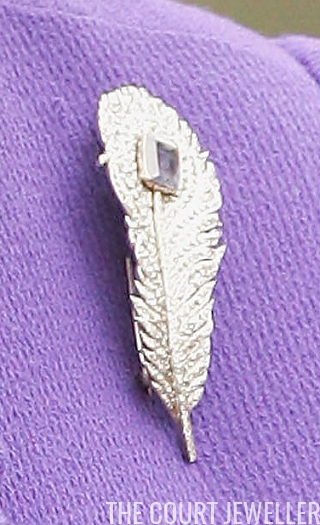 The wedding took place at Chester Cathedral, and the Queen appropriately wore the brooch, one of her own wedding gifts, to witness the blessed event. Two years later, the Queen wore the brooch with a cornflower blue coat for a visit to the BBC, where she helped celebrate the anniversary of the corporation's Royal Charter. The engagement took place one day before her own 80th birthday. 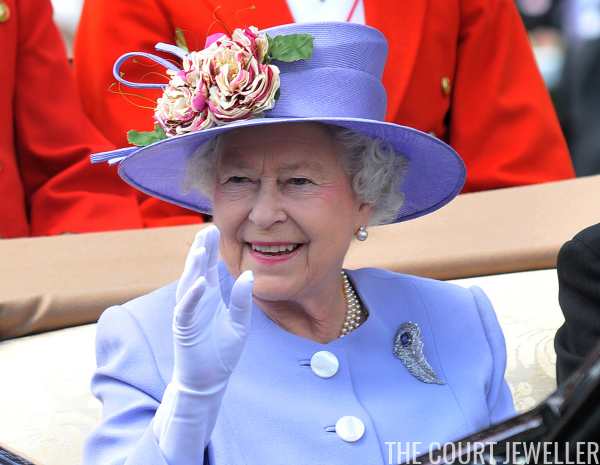 The brooch's sapphire popped against the light blue coat the Queen paired it with for Ladies' Day at Ascot in 2010. 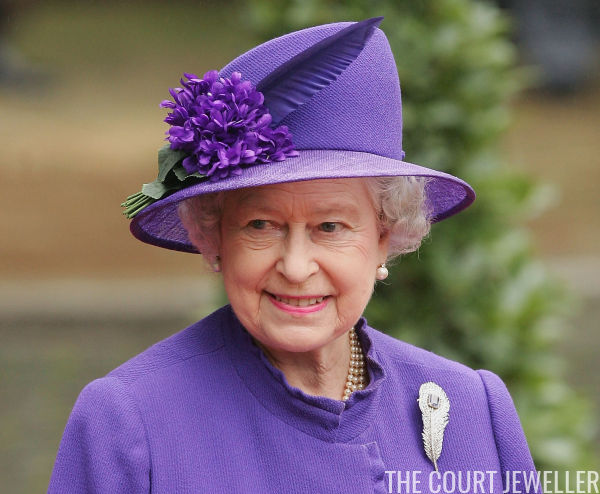 One of the brooch's most recent appearances came in 2014, when she wore it with a light purple ensemble for the first Buckingham Palace garden party of the season.